Ken Loach has been making movies for a long time—his debut feature, Poor Cow (starring a young Terence Stamp), came out in 1967. He’s been remarkably prolific over the past five decades, and not terribly consistent; for every vital, impassioned film like Kes (1969), Land And Freedom (1995), and Palme D’Or winner The Wind That Shakes The Barley (2006), there’ve been three or four bland, forgettable trifles. 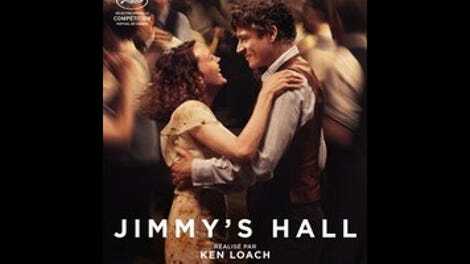 Jimmy’s Hall, which premiered at Cannes last year, has been rumored to be Loach’s swan song, and he’s certainly earned the right to take it easy, having just celebrated his 79th birthday. Still, it’d be a shame if he went out on this particular note, because Jimmy’s Hall is one of his clunkers: Footloose set in 1930s Ireland, basically, with jazz in lieu of Kenny Loggins. That may sound like an upgrade, but Loach is far too earnest a filmmaker to make something this hokey sing. He’s working with the bare bones of a true story here (as scripted by regular collaborator Paul Laverty), about James Gralton (Barry Ward), who wound up being deported from Ireland without trial for daring to position himself as a rival to the Catholic church. Set in 1932, the film begins with Jimmy’s return to his hometown following years spent in New York City, to which he’d fled following previous scuffles with authority. The community center he’d opened up back then has lain dormant ever since, and no sooner does he set foot in the neighborhood than the local kids clamor for him to reopen it. That project doesn’t sit very well with Father Sheridan (Jim Norton, playing the John Lithgow role), who warns his flock about “the Los Angelization of our culture” and takes steps to ensure that Jimmy’s influence won’t fan the flames of activism. Meanwhile, the hall briefly serves as a place where young people can meet with friends, take classes in art and literature not sanctioned by the Pope, and, of course, dance to the devil’s music. 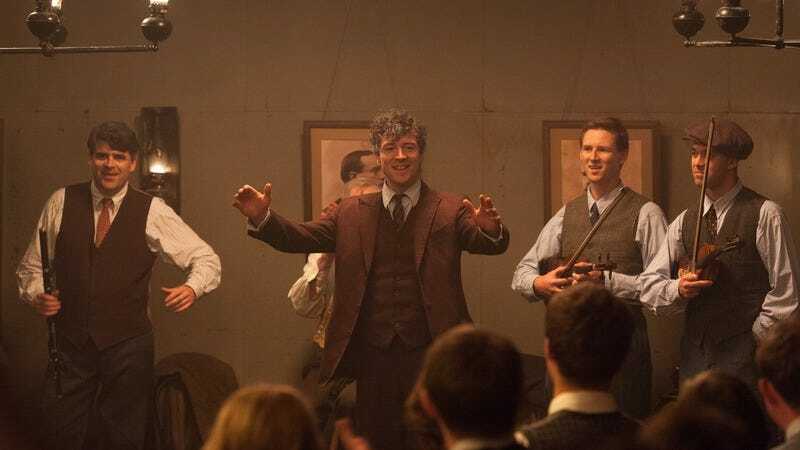 Jimmy’s Hall means well, and it does dramatize a fairly shameful episode in Irish history, serving as a reminder that peacetime was no guarantee of civility. But it’s been conceived along such cartoonish lines that getting genuinely aggrieved about what happens to Jimmy isn’t easy (especially since he seems like he’d be much happier in New York, where the real Gralton died in 1945). Strangely, given Loach’s previous fiery films on the subject, Jimmy’s Hall downplays the extent to which Jimmy used said hall as a soapbox to promulgate his Communist views, treating him more as the genial head of a community center than as an agitator. Likewise, Father Sheridan’s ire isn’t so much politically motivated (as was apparently the case in real life) as just hopelessly repressed. “What is this obsession with pleasure? !” he actually demands at one point, to which there’s really no possible response other than rolling one’s eyes. According to various interviews, Loach has declared that this will be his last “big” film, by which he mostly means period piece; he’s open to continuing to work on a smaller, more intimate scale. Since he seems to have scraped the bottom of the historical barrel this time around, that could only be an improvement.